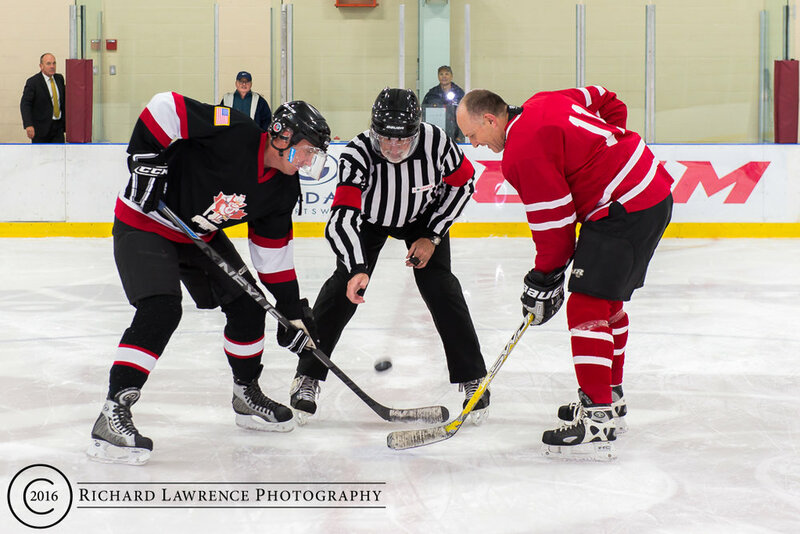 Friday night, October 14, 2016, saw the start of another season of Lame Ducks hockey as the Ottawa Service Attaché Association (OSAA) hockey team, made up of international defence liaison officers, took on the General Officers and Flag Officers (GOFOs) of NDHQ. 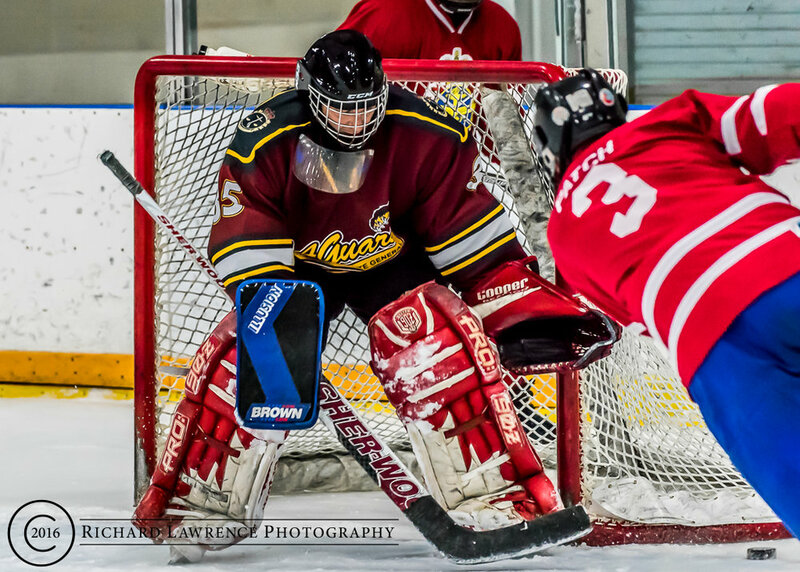 It was a spirited game as the GOFOs, without a full roster, skated their way to a 5-4 victory. Many of the Lame Ducks have been recently posted in so may not have given as good a performance as they would have liked, but as this was only the third time on the ice for one player, he did well to just stand up and the rest of the players, almost all foreign to the game of ice hockey, are to be commended in the attempt. Notwithstanding, they scored four goals and just fell short — this time. It is with sadness that during the after-party it was announced that the Lame Ducks player from Mexico, Captain Marco Antonio Bandala (“Bandolero”) Lopez and his wife Theresa, will be heading back to Mexico for a new posting. His presence and good humour will be surely missed. He was awarded a game puck from the GOFOs and General A.C. Patch, who attended with his son, Jacob, was awarded the game puck as outstanding GOFO player by the Lame Ducks. After that it was pizza, wings, and beer for everyone.